Gosh we had some fun today! Firstly, students revised the language features found in persuasive texts, then they were put into small groups to create short ads. Each group was given a task card which told them what they had to advertise and to whom. We loved Ellie's short closing statement, and everyone was in hysterics with Blake's accent. Well done 4F! 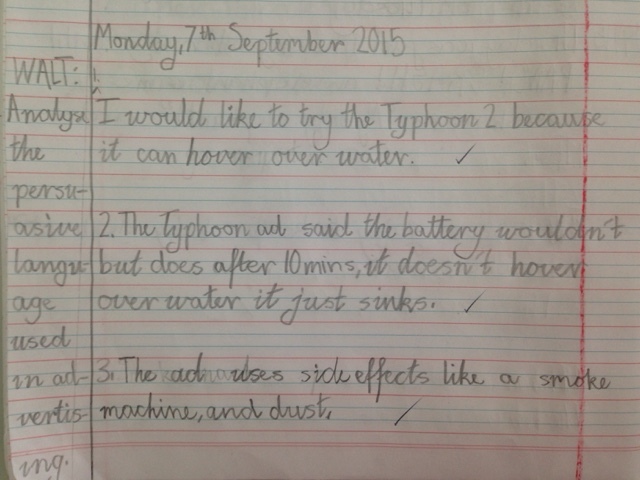 We continued our work on persuasive language in advertising today. 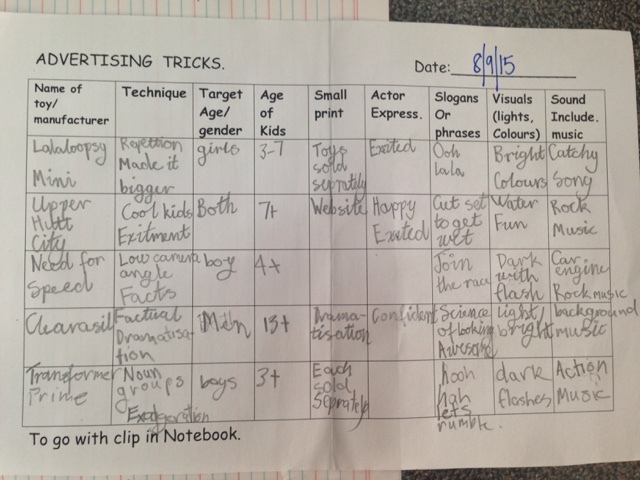 The class viewed commercials, then discussed and analysed them. Our focus today was learning how to convert a written fraction into a decimal. 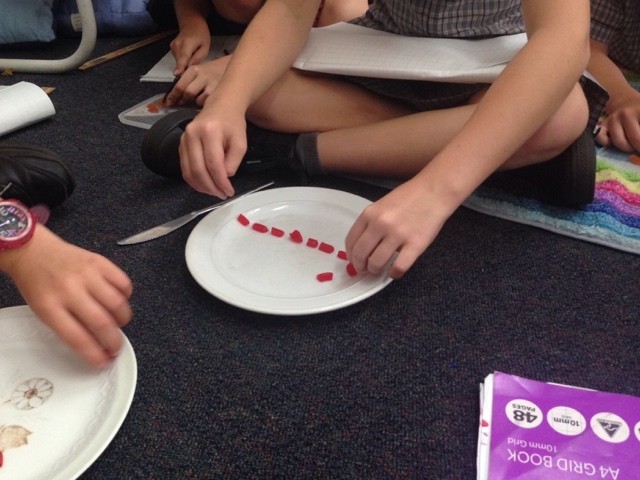 During teacher time students each got a lolly snake and cut it into tenths. 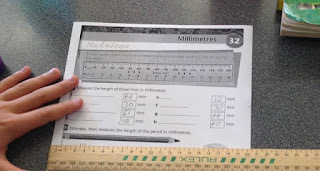 We then practised writing different numbers as fractions and converting to decimals. Here is also a link to a fun little revision game. 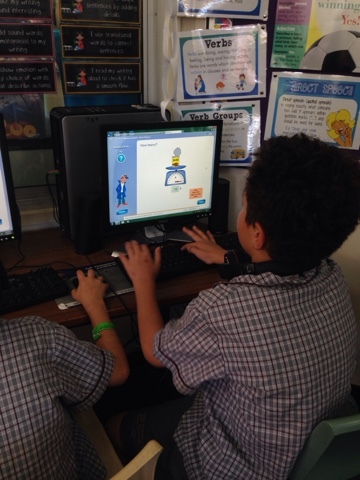 Week 9 spelling list has been added on Spelling City. 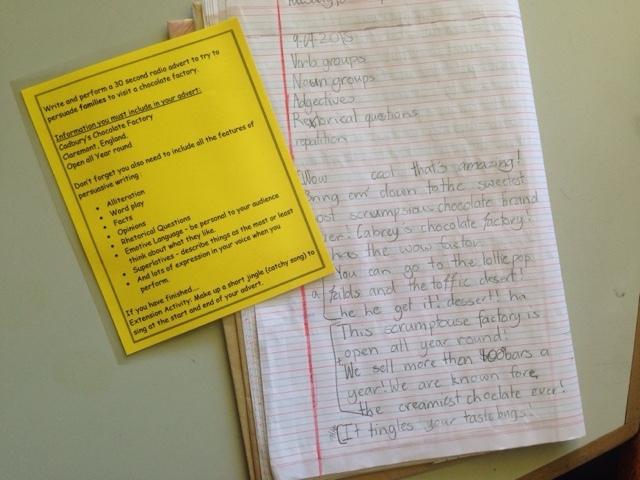 Next week we will have our end of term spelling test, so this week would be a great time to start revising previous spelling lists. 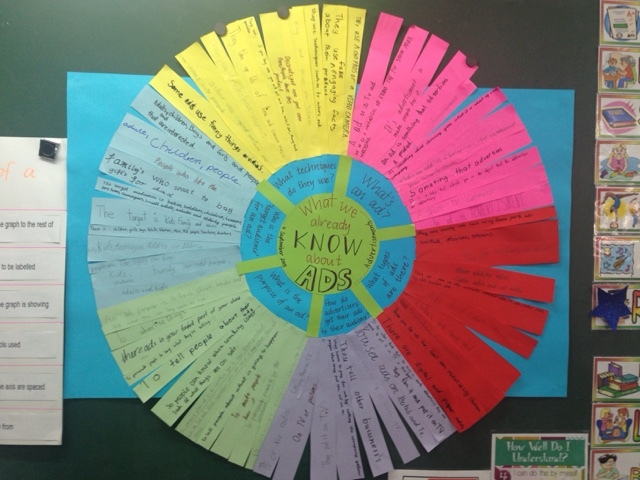 We have begun our new English unit which is focused around Advertising. Last week students brainstormed what they already know about advertising and Mrs Kippen has created a fantastic display from students answers. Our focus today was on the persuasive language used in commercials to make children want to buy certain products. 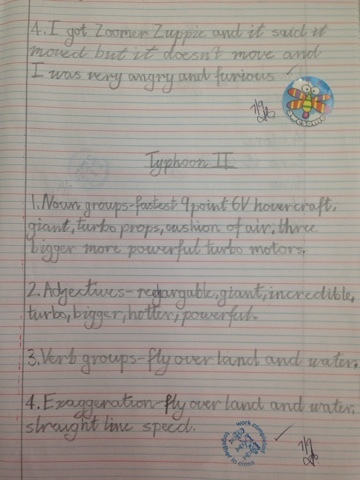 We viewed a clip on the Typhoon II. At the end of the commercial we stopped the clip and students wrote what they would like about the product. Students then watched the next part of the clip where children evaluated the Typhoon II. 4F then discussed the differences between the commercial and what the toy was truly capable of. 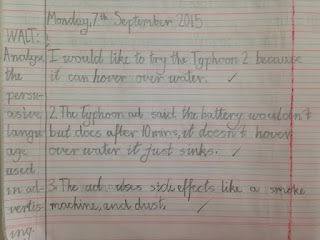 Some students shared their own experiences of being disappointed with a toy they had previously seen advertised. 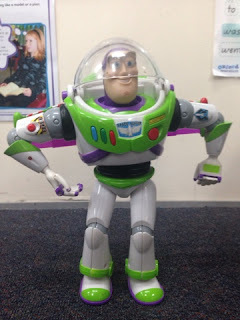 After that we did our own analysis on Buzz Lightyear. As a class we compared an advertisement for Buzz Lightyear with the actual toy. Students: What kind of tricks / language do commercials use to persuade you to buy their product? Spelling Rule: Prefixes - They are syllables placed at the beginning of a base word that change the meaning of the base word. The prefix itself is always spelt the same way. English: This week we are using our drafts to write good copies of our Rowan of Rin chapter. 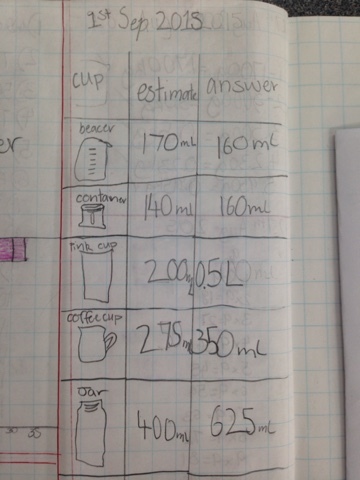 Math: We looked at capacity during rotations today. Students completed a teacher time activity involving estimating and measuring millilitres in different sized containers. Mathletics activities have also been updated to measurement activities. Remember you can log on at home! 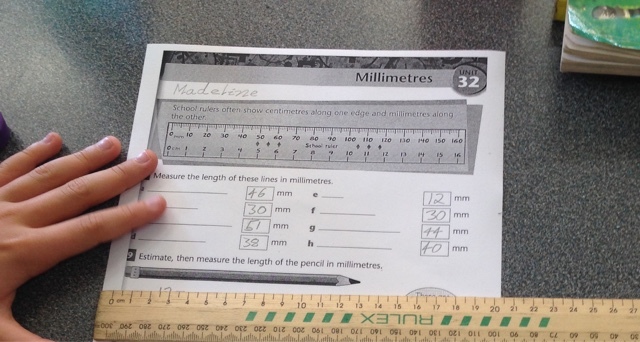 The independent activity involved students revising what they know about measuring length. We definitely still need practise on converting cm to mm! Play the game below for some revision. 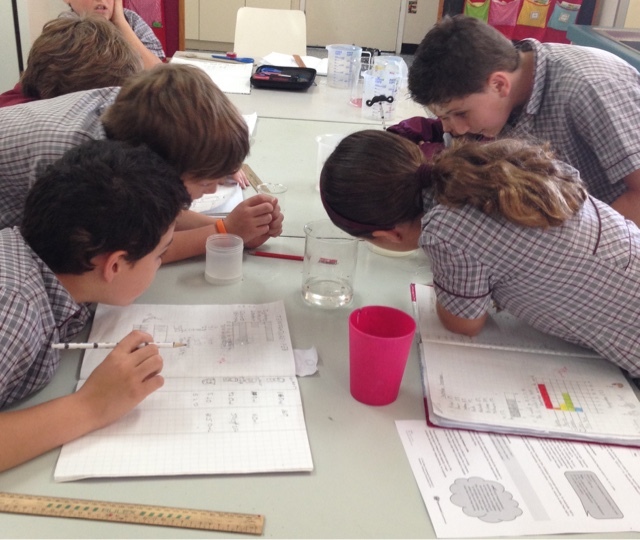 History: This term we have been learning about Australian history from the perspective of the Aboriginal and Torres Strait Islander peoples. Over the last few weeks we have been talking about the Yolngu tribe that lived in Eastern Arnhem Land, and began trading with the Macassans. Ask your student about what each group traded, and why they were able to trade peacefully. Today we revised the different types of sources that we can use to learn more about our history. We looked at Visual, Oral, Physical and Written. See if your child can give you a specific example of each of these sources.